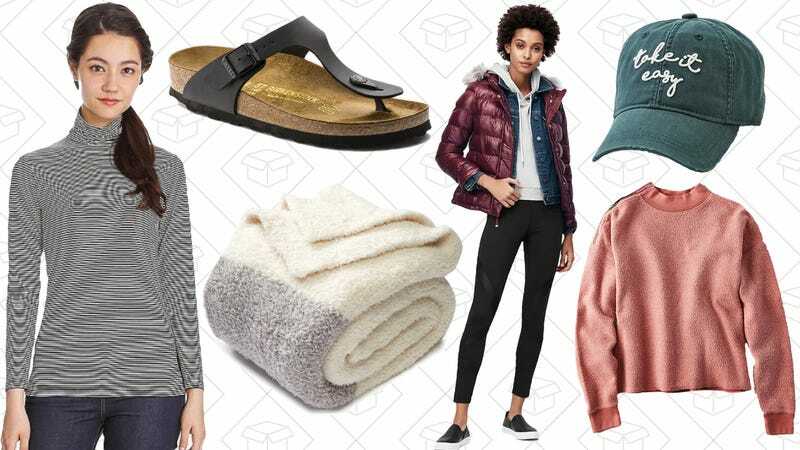 $10 HEATTECH at Uniqlo, majorly discounted Birkenstocks, a huge sale at American Eagle, and more lead Tuesday’s best lifestyle deals. The Target Beauty Box comes out once a month and usually sells out quicker than you’d like. If you hurry, you can pick up six samples of some really impressive beauty goods for only $7, plus you’ll get a $3 credit for future $15 Target beauty purchases. Plus, pick up $20 worth of your favorite beauty brands and personal care products, and get a $5 gift card. Kat Von D’s beauty line is full of vegan-friendly, parabin-free products that will be a mainstay in anyone’s makeup routine. You voted her Lock-It Concealer into the top four concealers out there and that, plus a bunch of other products, are on sale at Sephora right now. Pick up her Studded Kiss lipsticks and Shade + Light Eye Contour Quad for a lot less than normal. Most of the time, you probably hrad over to Americsn Eagle to check out their underwear and bra sales, but right now, they’ve got one that’s even better. Take up to 60% off basically everything they carry (except things that aren’t American Eagle brand). That includes denim, outerwear, shoes, sweaters, and more. With the new season, comes new styles, and those new styles are on sale. It shouldn’t be a surprise that Banana Republic, Old Navy, and GAP are in cahoots when it comes to sales; they are owned by the same company, after all. But with 40% off coming from all three retailers when you use the code FAMILY, maybe you get a whole new wardrobe by the end of summer. It may not be sandal weather everywhere right now, but $60 Birkenstock Gizeh sandals are nothing to pass up. Use the code KINJAGIZEH at check out and knock $20 off the already reduced price and grab these in either Black or Onyx. Treat your feet to the world-renowned footbeds of Birkenstocks, because they’re cool again. If you aren’t yet a Uniqlo HEATTECH convert, $10 tees, turtlenecks, leggings, and more, for both men and women, may do the trick. They will keep you warm throughout the winter and looking like more like an adult who knows how to dress for the weather, rather than Ralphie’s brother in A Christmas Story. Get your cozy on with this sale at Nordstrom Rack. Pick up throw blankets, robes, and pajamas from Barefoot Dreams for up to 50% off. It’s basically two pages of comfy clothes and blankets that you’ll never want to take off. It’s worth grabbing something. Fall is here and ASOS wants to make sure your wardrobe is prepared. With up to 50% off a unbelievable amount styles to help get you ready for the new season, it’s going to be hard to let your shopping bag stay empty. There’s almost 300 pages of JUST DRESSES, so it’s unlikely you won’t find anything. Need a new pair of shoes? Nordstrom Rack is marking down three pages worth of Sam Edelman boots, heels, sneakers, and sandals to much easier-to-swallow prices. Basically, if you’re looking to put something nice on your feet, they have something for you. Lou & Grey used to be a humble section of Ann Taylor that has now exploded into its own great brand. I’ve written about how much I love the brand, and right now they’re giving you an extra 30% off their sale items, plus free shipping. There’s a lot to choose from, so it’s gonna be hard not to fill your cart with many, many things. You don’t necessarily need to buy a new mattress to get a better night’s sleep: Sometimes, a mattress pad will do, and the same one you’d find in Omni hotels and many Marriott properties is on sale in today’s Amazon Gold Box. Unlike most mattress pads, these are stuffed with Revoloft synthetic fill, which should feel a lot like down, but without the associated allergies and poking feathers. Prices range from just $59-78 today, depending on the size, but just note that this is a Gold Box deal, meaning this price is only available today, so don’t sleep on it. Even (or perhaps, especially) in the age of laptops and tablets, many people prefer the tactile experience of jotting down notes with an actual pen and paper, and the most tactile experience of all comes from the Ghost Paper Notebook. Rather than simply printing lines on the sheet to keep your letters straight, Ghost Paper’s lines are very slightly embossed, giving your pen an actual base from which to start each character. Shane tried one of these out earlier this year and loved it, and you can get your own notebook for $5 off today with promo code KINJA003. 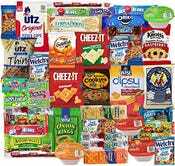 If you’re stuck in a rut of snacking on the same thing every day, this 45 count sampler pack can add some variety to your life, or at least to your kids’ lunch boxes. Nearly every item in there is unique, and it’s only $18 on Amazon, or $17 if you use Subscribe & Save. <Very Ned Stark voice> Fall allergies are coming. But you can fight them off with Flonase Sensimist, which you can apparently buy on Amazon? 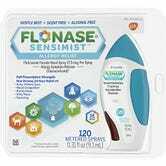 Get 120 sprays for $18, or roughly $4 less than they usually charge. For comparison’s sake, this bottle goes for $26 at Target, I recommend stockpiling. 1-pound bags of pistachios are $6 on Amazon right now, if you’re willing to wait out a backorder. So what are you still doing here? If you spend $25 on products shipped and sold by Amazon.com today, you can add a bag of their Sweet ‘n’ Cheesy popcorn for free. I’ve got nothing else to add, it’s free popcorn, people. 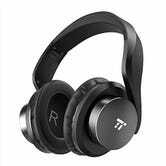 These over-the-ear bluetooth headphones have every feature you can think of - wireless, noise-cancelling microphone, foldable, and on-ear controls. At just $30 with code WBF2AW6D, they’re a steal. Anker’s not-too-big and not-too-small PowerCore 10000 has been one of the most popular USB battery packs on the market since its debut, and we have the first ever discount on its brand new sequel, the PowerCore II 10000. Cosmetically, it looks very similar to the original, but with the PowerCore+ line’s 10-dot charge indicator, which is a very good thing. But inside, it’s been upgraded with Anker’s new PowerIQ 2.0 charging technology, which delivers the fastest possible charging speed to your devices, including Quick Charge-compatible phones. That speed works both ways, as the entire battery will recharge in four hours if you plug it into a QC wall charger. This only came out last month, but you can already save about $5 with promo code KINJAIQ2. With the advent of affordable monitor risers, it’s never been easier to become a part-time or full-time standing desk user, but it’s important not to skimp on the anti-fatigue mat when you decide to make the transition. Most of these mats are flat slabs of foam, and that’s better than nothing. 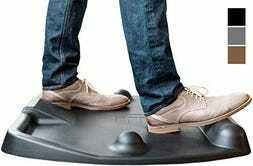 But what if you could do more with your feet than just balance on them? That’s the idea behind TerraMat, which is essentially a fidget toy for your feet. In the middle, you can stand on it like a normal mat. But off to the sides, you’ll find massage mounds. On the front, a balance bar and “pressure peaks.” On the back, there’s a power wedge to stretch your calves. Surrounding it all is a support track to help you stretch your hip flexors. Basically, it gives your feet things to do while the rest of your body is busy filling out spreadsheets or whatever. Amazon’s selling the mat for an all-time low $80 right, or $20 less than usual. That price is only available today though, so get yours before this deal takes a seat.